Rose has joined our family from Alabama. Her littermate brother is Rav! She is a tiny little bundle of energy! 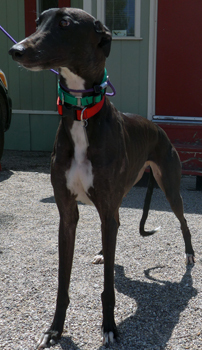 She is a very active girl and can be overly assertive with the other dogs. She seems to be too pushy with cats or small dogs but that may resolve as she settles in to just being a dog. As we learn more about this happy girl, we will update her information.